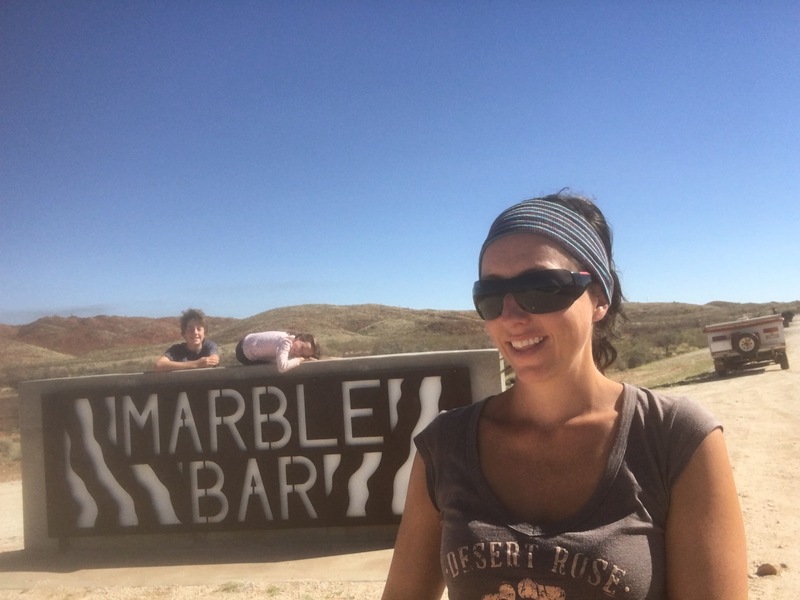 We left 80 Mile Beach with our collection of shells, our warm clothes on and a half-commitment to spending the night at Marble Bar. After speaking to our Flinders Ranges family and seeing their very detailed itinerary (they had planned their entire half lap trip with each day, date, location, activity and accommodation) and looking at our own diary I’m fast realising there’s still so much to see and I’m running out of time to do it all. 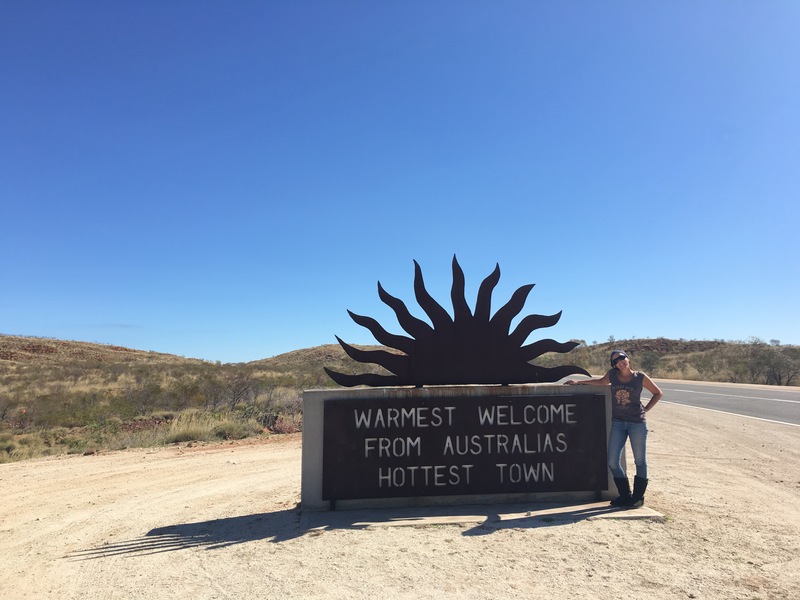 After some Facebook reviews and recommendations we decided to stay the night at Marble Bar – Australia’s hottest town – and I was driving there in jeans and my ugg boots! It was a sunny 26 degrees when we arrived and set up camp and as it was a Saturday, the town was quiet with a lot of it shut so we headed for the WWII secret air base to have a look around. 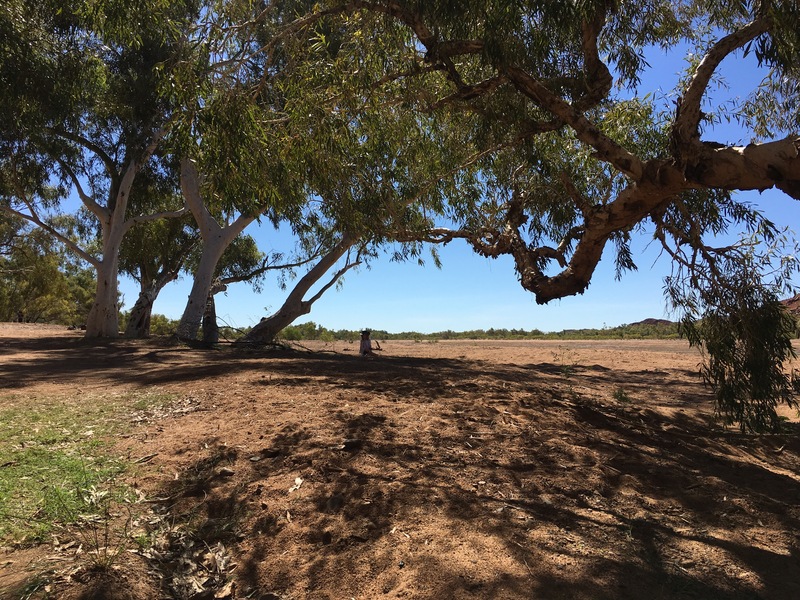 There wasn’t much there other than the old airstrip, a few dirt roads and some leftover aircraft bays made from large mounds of dirt – we explored a few of them but without signage or any sort of memorabilia out there it was hard for the kids to get a sense of what the place once was. 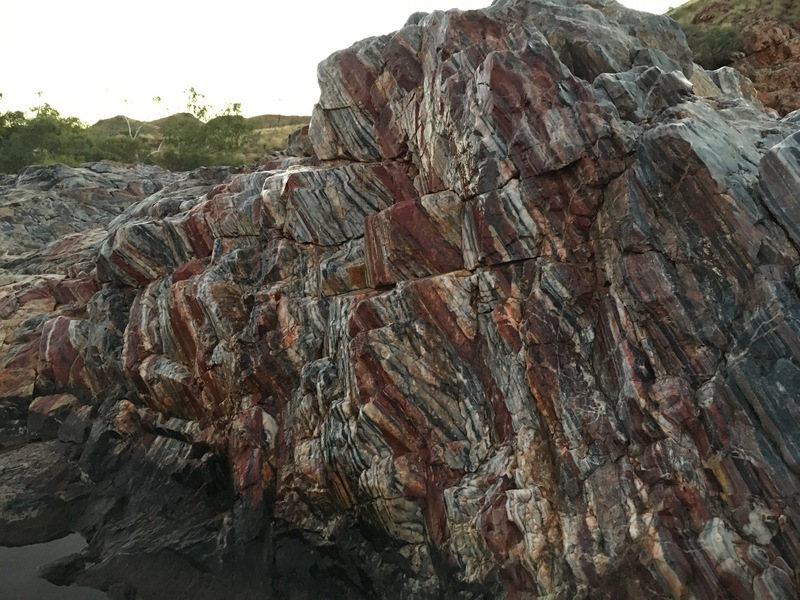 We headed to the Marble Bar pool and the rocks there were amazing – the horizontal lines throughout the park, the colours of the rock and then the vertical lines and patterns were great. We splashed water on the jasper rocks and watched the colours dance to life. 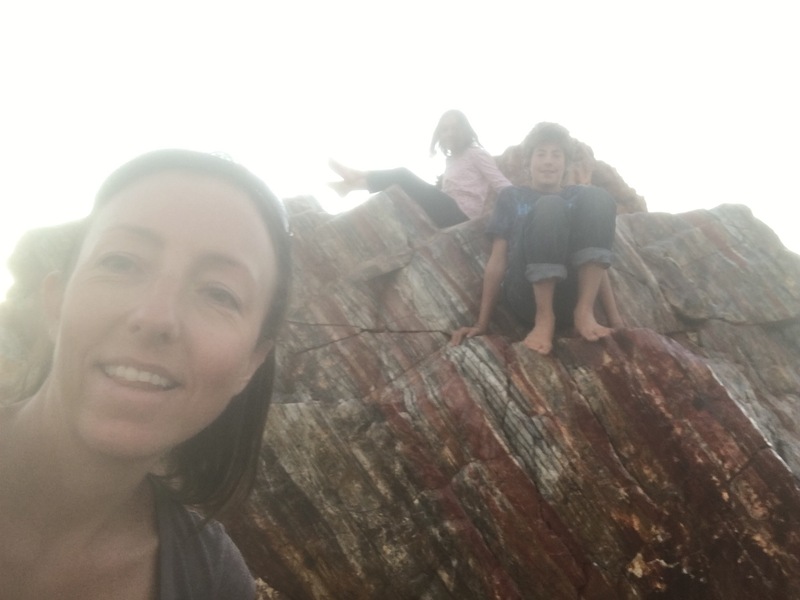 Taking our shoes off, we scrambled over the smooth surface of the rocks as the sun set and Miss6 played our tour guide. One the way back to the van we stopped at the pub – I figured I should have a beer at Australia’s hottest town. When we arrived the footy was on the TV and it was a Collingwood game so we decided to stay and watch it and have our dinner there. We were the only people in the pub barracking for the Pies but we made it out of there in one piece so I was happy with that. For Australia’s hottest town, we were freezing and even turned the electric blankets on when we got back to go to bed, grateful for a powered site. It was an interesting night’s sleep mixed wtih the loud snoring of the guy camped next door and fighting cats going crazy up near the office setting off nearby dogs. Finally asleep in a nice warm bed and waking up to a friend’s Facebook post about it being -2.7 degrees in Coldstream at junior footy – I was grateful to be in Australia’s hottest town! 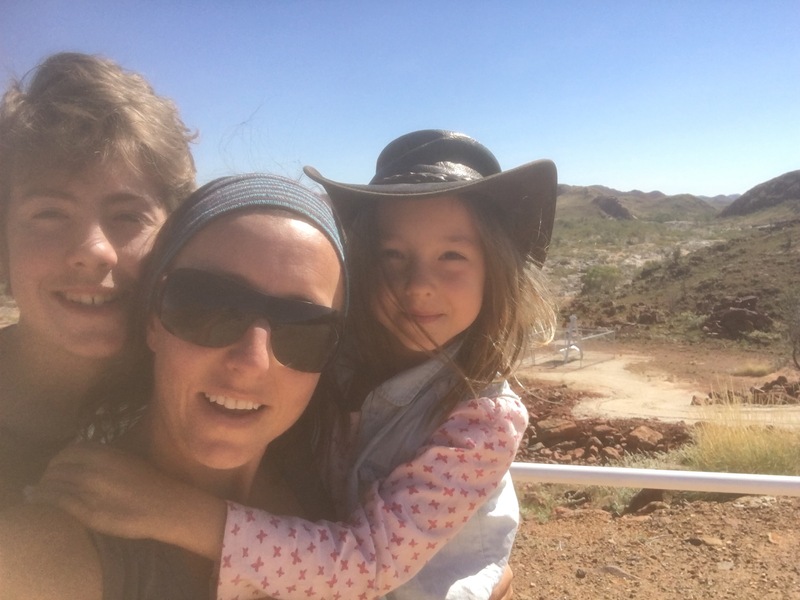 We only had a two hour drive to Port Hedland ahead of us so after talking to the lady at the servo, we decided to take a look at the local Comet Mine Museum where Gerrard, the old guy running the place, was very knowledgeable and even let us hold some real gold nuggets while we were there. We left the mine and made a brief stop at Flying Fox lookout and at the Jasper Deposit where Miss6 wanted to try her luck fossicking for Jasper. On the way out of town we stopped for some lunch at the Doolena Gorge – a gorgeous little spot that isn’t really promoted but you can camp along the water under the trees. I’d groaned earlier in the day about being stuck talking to a lady about how surprised she was I was towing with a four cylinder car and that I should be careful on my own as there are rapists everywhere (I’ve personally never felt safer than I have doing this trip) but she was the one that told me about the gorge. This place is going on our list of places to camp next time we’re up this way. It was getting late in the afternoon by the time we got to Port Hedland so we actually skipped Port and went straight to South Hedland as we needed to shop at Kmart and grab some groceries. We weren’t quite sure what to think of the lengths of metal rope fixed beneath the ground at each of the camping sites until our neighbour informed us they were to hook your van to in case of a cyclone! 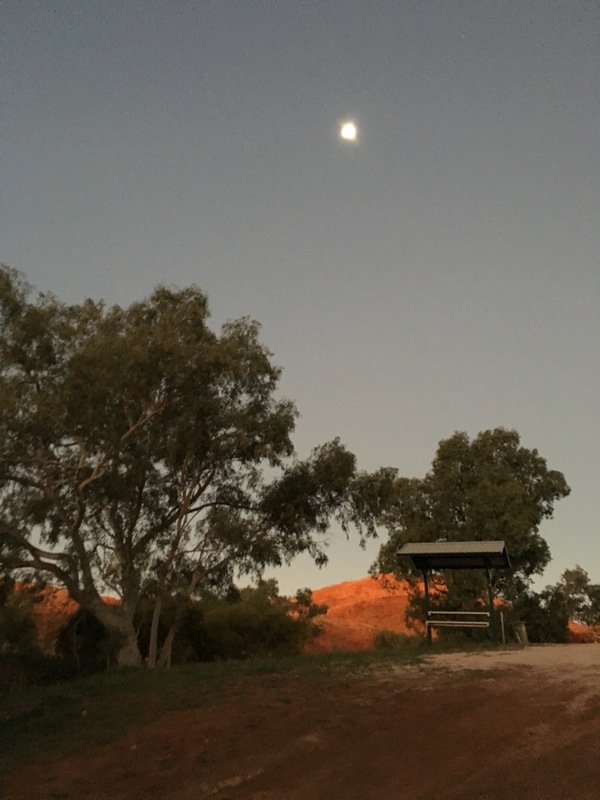 We’d only managed to get one of the last sites along the back of the caravan park which backed on to the freeway so after our shopping and dinner, I didn’t get much sleep with all the traffic driving all hours of the night. We had some hot showers in the morning before we started the journey to Karijini National Park.